Two public beaches in Plymouth were closed after two fishermen caught sight of a great white shark off the coast. Two beaches in Plymouth, Massachusetts have reopened after fishermen spotted a great white shark in the area Monday. 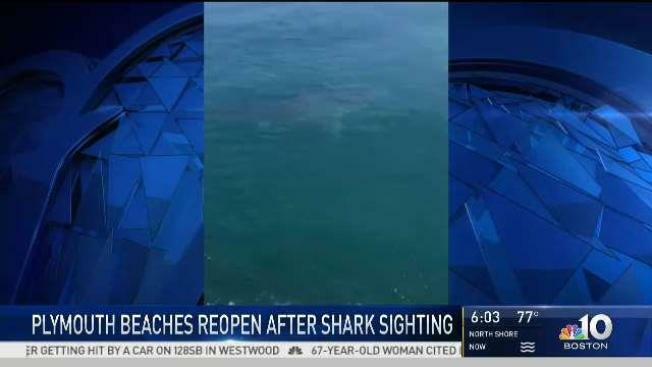 The sighting prompted the town to close its two public beaches for three hours after Patrick Vardaro and Nick Kraszyk reported seeing the shark during a fishing trip. "I happened to catch a glimpse of a fin," said Kraszyk. "I said, 'Hey, let's go check that out.' As we got a little bit closer, to our surprise, about a 12 to 13 foot white shark." 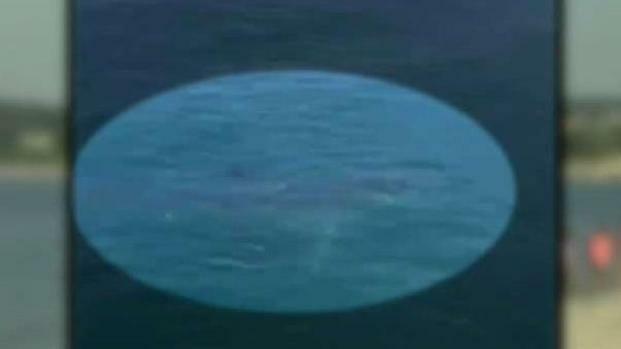 The sighting made beachgoers less than willing to get in the water after learning about the frightening marine animal. People on the South Shore of Massachusetts are on edge after a fisherman caught a shark on camera lurking just below the water's surface. "I think I'm not going in the water, it’s a little scary," Kim Morin, a beachgoer, said. "I don't like the water to begin with, but if it has anything to do with sharks -- no, not me." Marconi Beach in Wellfleet also closed Monday due to a shark sighting but reopened an hour later. Peak season for sharks in Massachusetts begins in August and ends in September before they swim north for more food.